With the development of advanced medical technology, Japan&#8217;s life expectancy will approach 100 over the next century. Seniors will work more. Only with good health and motivation to learn can seniors live long and fulfilling lives. In last year&#8217;s Japanese comedy &#8220;An Ending Person&#8221; (終わった人), after the War, baby boomers, tired of life after retirement, tried to become interns. Their attempt to restart their studies afresh astutely reflects modern Japanese society. According to estimates from the Dai-ichi Life Research Institute, the average life expectancy of Japanese boomers is about 80. They will live for about 20 years after they retire.The &#8220;Three Stages of Life&#8221; Are No Longer NecessaryIn the past, this generation strongly supported Japan&#8217;s growth. Despite the strong social competition, they also enjoyed the results of the growing economy. Statistics show, that generation alone makes up half of Japanese consumption. They also own the majority of financial assets. Most planning by financial institutions is now for the sake of their retirement, but this seemingly commendable three-stage model of life (study, work, and retirement) has started causing many social problems. This is precisely because many find themselves unable to adapt to the changes and lack of challenges of retirement. This is only considering 20 years of retirement. The UN estimates that with advances in medical technology and health awareness, Japan&#8217;s life expectancy will approach 100 years in the next century. The book The 100-Year Life also quoted demographic projections that children who are about 10 now may frequently live to 100. In this case, retirement becomes not only a 20-year 20 affair, but 30 or 40 years or even longer. When human life no longer lasts just a few trips around the sun, the difference is made up in retirement. It is not possible to directly maintain a given income replacement level. Meanwhile, as the population keeps declining, the annuity system will eventually fail. Social structures will be reshuffled, necessitating changes in the three-stage life progression model. In particular, retirement may be completely eliminated.Japan shows that as the population ages and the birth rate keeps declining, shrinking the total population, labor shortages impact the real economy, and all sorts of social and economic problems emerge. Declines in international competitiveness and tax revenues follow directly from a smaller economy. Aside from increasing the birth rate and relaxing restrictions on immigrant workers, the most straightforward remaining way to resolve these problems is to extend the working age. Thus, three years ago, Prime Minister Shinzo Abe announced a policy of objective of &#8220;All 100 Million Taking Active Parts.&#8221;A New Human Resource RevolutionA few days ago, the Abe government announced a record low in Japan&#8217;s fertility rate, adding to worries over the economy and society. Average fertility rates are declining, not only in Japan, but in the world as a whole. This may cause a labor gap, but AI and robotics may also replace many manufacturing lines. Therefore, while society will change, values will also be redefined, and new jobs may be generated as old ones are eliminated. It is precisely because of technological development that these transformations are taking place, and the intervals between these transformations will only become shorter. For this reason, many advanced governments have called for education on changes in social models, not just to boost fertility. To achieve this goal, the Cabinet established a &#8220;Council to Design a 100-Year Life Society.&#8221; Masayuki Yamaguchi, the representative behind the plan, said that this revolution is in fact about human resources. The Japanese government hopes that everyone can contribute in the new society, and is discussing policy design for the next four years ensuring the openness and affordability of public education. They are also discussing the possibility of removing age restrictions, creating a lifelong process to help students prepare for their next career. Re-Investing in Society through Professional DevelopmentIs it possible for a society to function without retirement? After all, if government extends the retirement age, elders may crowd out youth employment. In fact, this post-retirement society is not necessarily about extending existing jobs; instead, retirees contribute to society based on their own strengths &#8211; which may not necessarily involve full-time work. When longevity is no longer a special case, the same workplace may contain people from different generations. Although the next generation will have better flexible learning ability than the previous one, since the life experiences of each will vary, diverse work types will emerge. This also means that we must constantly accumulate transformational knowledge through continuing learning. For the same reason, though, knowledge and skills will be replaced and rendered obsolete that much sooner. Anyone who is unable to regularly upgrade their skills will find it difficult to succeed in a second career. This feature of the new era is also gratifying: failure is not permanent. New demands continually appear, and there is no shortage of second chances. 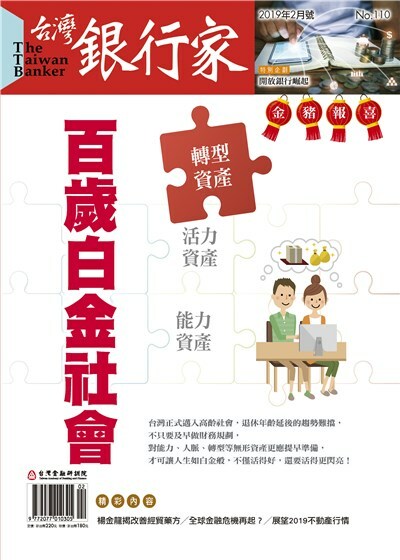 In response to these encroaching problems, the Mitsubishi Research Institute renamed the grey-haired market as the &#8220;Platinum Society,&#8221; giving seniors the capacity for self-realization, to exert their value in the labor force, to support the development of society, and to generate innovative business opportunities and consumption power. Of course, the keys to this concept are new career planning and continuing study. Thus, the three stages of life of the past become a compound life: repeated cycles between the workplace, study, and recharging. A single period each for schooling and retirement no longer applies. Learning at WorkFor this reason, Chairman of the Mitsubishi Research Institute Hiroshi Komiyama started the non-profit Platinum Society Network to help extend the social transformations that may emerge when we live to 100 to business and the general public. The most difficult thing for Hiraishi Kazuaki, in charge of the project, is popularizing these ideas. Simply explaining the appearance of future social structures squanders all of their work over the last 10 years. The relationship between Japanese companies and their employees has undergone great changes. The tenure system of the past is no longer, and job-hopping, part-time work, and side projects have become the norm. Furthermore, due to strong competition, companies who cannot provide their employees with continuing study and part-time opportunities will start to lose staff due to the lack of future growth prospects. 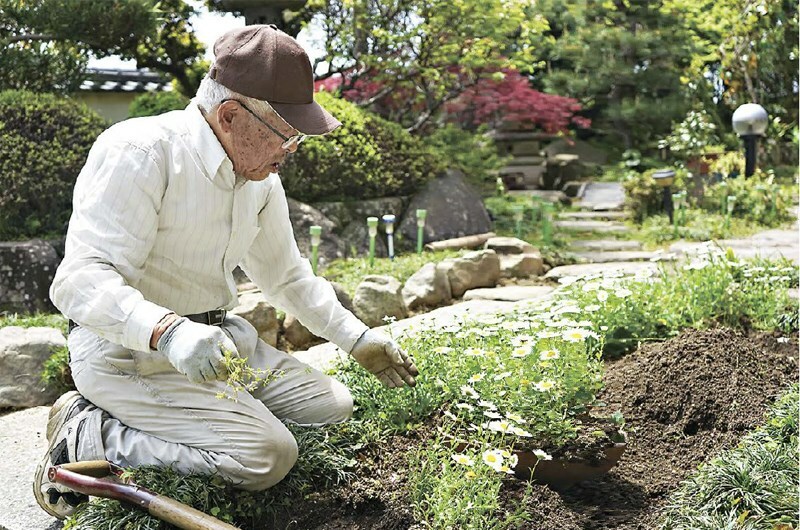 In the past, Japanese companies have reacted negatively towards hiring senior citizens. Facing an aging population and declining fertility rate, however, even if the government remains open to overseas labor, their inflows will still be insufficient to plug the gap in labor supply. As a result, companies have begun to hire older people, and have gradually started hiring seniors on a part-time basis &#8211; generally those with good health and motivation to learn. The status quo, however, faces implementation challenges from both companies and employees. There are no clear rules for most companies on allowing on-the-job training. In a self-fulfilling prophecy, some worry that it may negatively impact efficiency. For employees, meanwhile, although about 50% say they have started re-education, it&#8217;s mostly self-study using free resources like TV and the internet, with limited effect. Major reasons include time and financial constraints and the inability to find suitable courses or training institutions.Given all this, Hiraishi said that they considered first selecting some companies as pilots. They are now cooperating with Net One Systems to implement an experimental &#8220;lifelong learning and second career&#8221; plan, mainly for employees over 40. The plan includes 4 months of instruction, training, and discussion for employees seeking a second career, and 11 companies and groups are invited to provide membership financial assistance, then promote the results to other members. He said that this will become a new human resource model for the future, helping employees for their retirement while on the job while maintaining companies&#8217; sustainability and stability. Creation of a meaningful, sustainable platinum society starts with individuals.